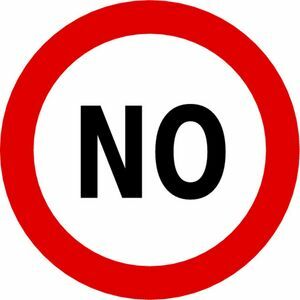 One of the important management lessons is to learn to say no. It’s not about being rude, it’s not even about being selfish and it’s definitely not about lack of initiative. Time is an important resource and for most of the people, it seems to regularly fall short of the required mark – quite often it is because of the fact that you take so many things on us that we are not supposed to take up. Saying no politely is not that difficult. It’s about understanding the requirements and putting those against prior commitments to assess if its doable without significantly hurting other things on the plate. It’s not as difficult as it might look in the beginning, but the key is to do this gracefully and accept that some people will not like this change in you, whenever you begin.